Copal can be thought of as 'baby amber.' Like its much older counterpart, it is a hardened resin that originated as tree sap. Copal is similar in both appearance and chemistry to amber. Opinions vary from source to source as to when copal becomes amber, but the general consensus is that organic resin younger than 10 million years old is copal, while anything older is amber. 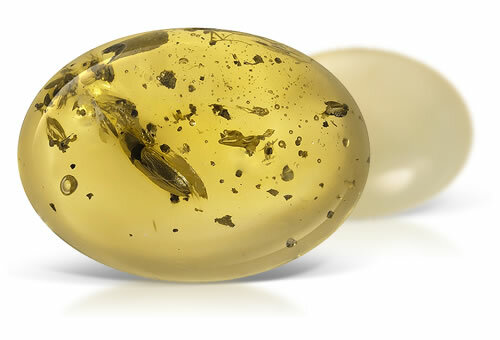 As amber can be as old as 360 million years old, copal is substantially younger. Copal is an immature (young) version of amber. Copal might show surface crazing.